Beautiful gap filler. A tablet fills the gap between Notebook and smart phone. Is there still room for a small tablet? The Samsung Galaxy Tab 7.0 Plus N, revised for Germany - with regards from Apple's lawyers - looks good at any rate and has its Raison d'être. And there's more than just good looks. The legal dispute between Apple and Samsung has reached critical levels, peaking in a court order banning Samsung from selling its "Galaxy Tab" tablets in Germany. The Korean manufacturer has too much strength to be pushed out of the market permanently by Apple. As expected, the ban did not last. With the Galaxy Tab 7.0 Plus N, Samsung now offers a compact tablet which is substantially distinct from the iPad and could not possibly be confused for Apple’s tablet by even the most uneducated customer. This, in the simplest of terms, is the spearhead of Samsung's offensive. Apart from the relatively small 7" display, the Samsung Galaxy Tab 7.0 Plus N matches up neatly with the spread of current tablets - a dual core processor, Android 3.2 (Honeycomb), and standard equipment like WiFi, 3G, GPS etc. It also works as a smartphone. 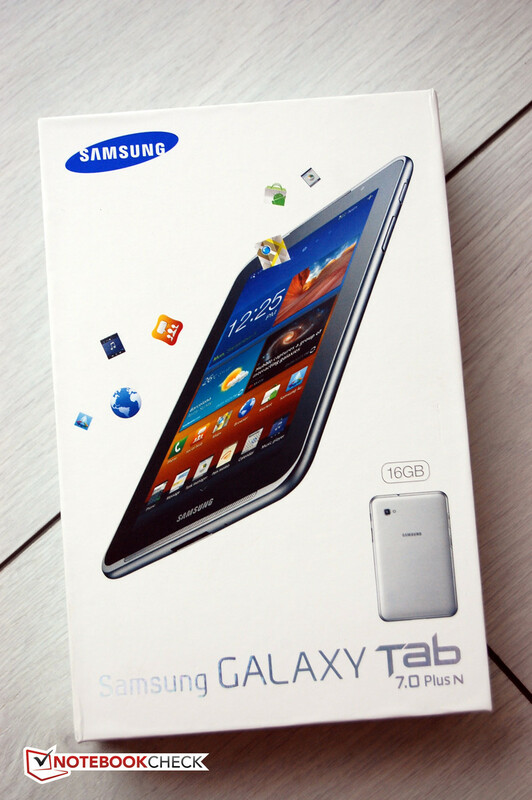 When we first sighted the Galaxy Tab 7.0 Plus N's packaging, we were unsure if the product is meant to be a giant smartphone or a overly small tablet. The truth is that it fills a gap between smartphone and tablet, at least when considering tablets come mostly equipped with 10" screens. The small display naturally benefits its size and weight. At 345 grams (12.2 ounces) and 194 x 122 x 10 milimeters (7.6 x 4.8 x 0.4 inches), the Galaxy Tab 7.0 Plus N can fit into a jacket pocket. In fact, the Galaxy Tab 7.0 Plus N is small enough to fit in the rear pockets of cargo pants that are popular amongst teenagers but those might not be the safest places to store a tablet. 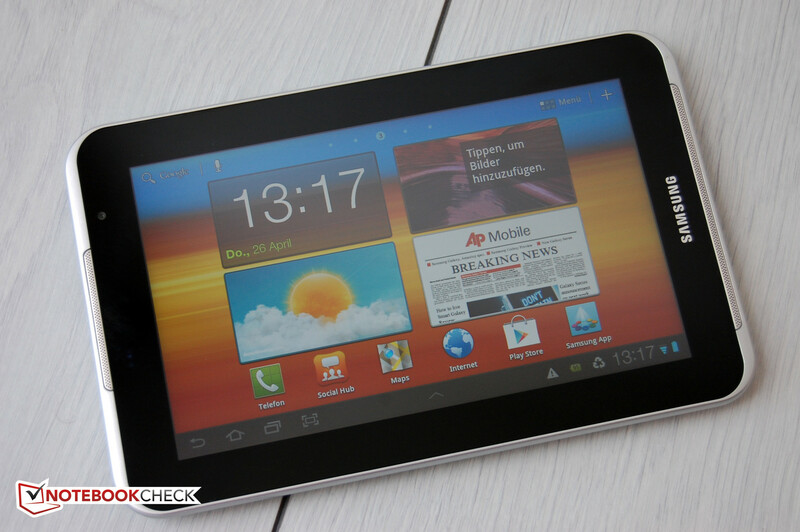 Regardless of the display’s size and suitably for its intended role, a point we will evaluate in detail later in this article, the Galaxy Tab 7.0 Plus N is a beautiful gadget. Our test unit's rear panel features a pleasant white finisher with a narrow silver frame surrounding the entire device. Though its casing consists entirely of plastic, it leaves the impression of a high quality build and the same is true for workmanship. There are no gaps, sharp corners, or creaking sounds upon bending the casing. Buttons and connectors are unobtrusively integrated into the frame and do not impede handling. 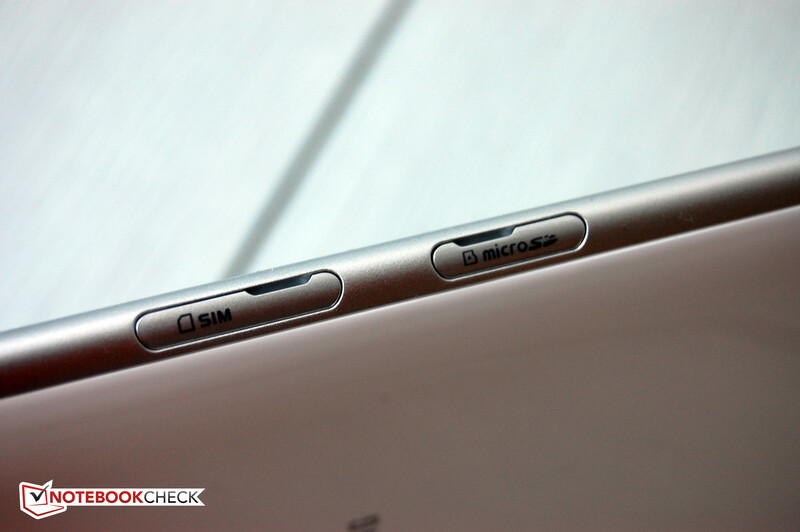 On the front, there are no buttons or switches, customary for Android devices. The manufacturer states that Corning's resilient Gorilla Glass was not used for the touch screen. In spite of this, we skipped a scratch test out of courtesy to the owner of our test unit. 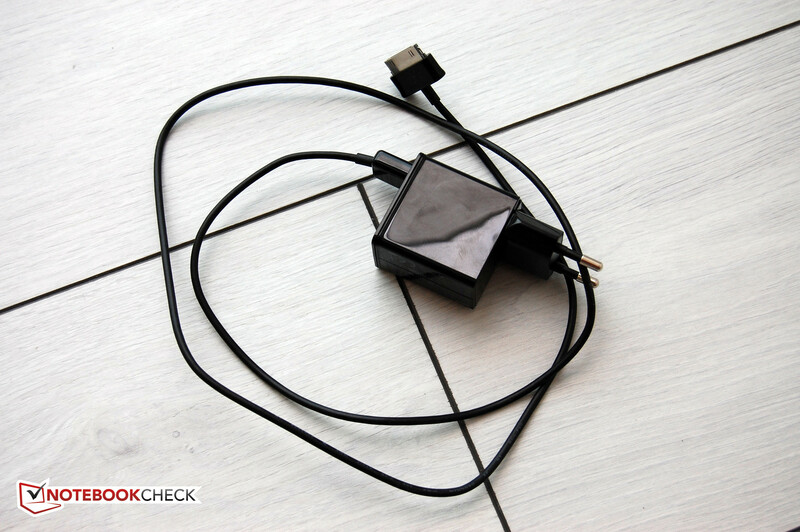 In everyday use, the display sustained no scratches even without a protective cover. The plastic back turned out to be more sensitive. Samsung may have cut down size and weight, but seemingly no cuts were made in regards to components. The Koreans provide a recent, in-house 1.2 GHz dual core processor with 1 GB RAM. Internal Flash Storage is not exactly great at 16GB, but can be expanded with MicroSD cards by up to 32GB at a reasonable cost. Sadly, the recent SDXC format is not supported. In comparison to other Android tablets, the Samsung Galaxy Tab 7.0 Plus N offers few interfaces. Common connectors like Micro USB and HDMI are missing. Instead, Samsung integrated a proprietary multipurpose interface similar to Apple's docking connector. 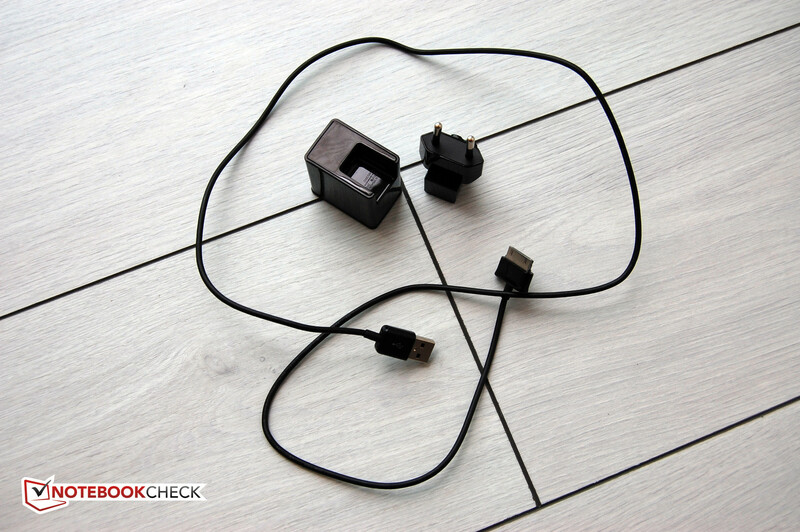 This connector supplies the unit with power through a USB cable or from the included power supply. USB 2.0 Data I/O and HDMI for audio and video are handled by this interface, though the HDMI requires an optional adapter. 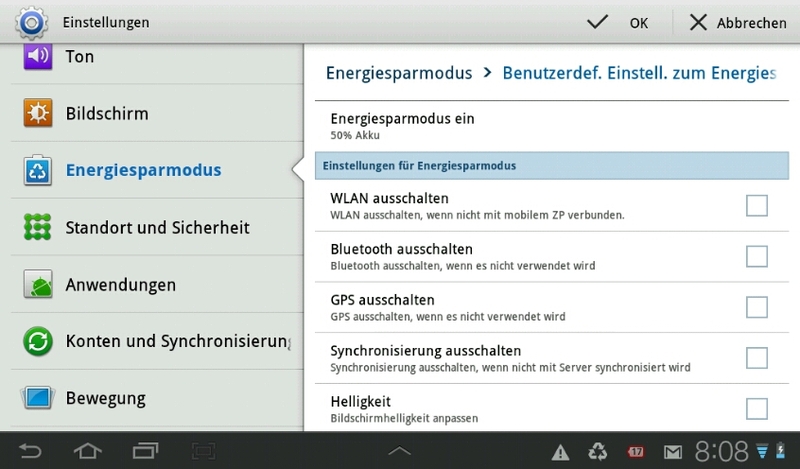 When holding the tablet in landscape orientation, both the power switch and volume rocker are on the top left. During video playback, the power switch can be used to disable touchscreen input to avoid accidentally interrupting the video. On the left side, we find a 3.5mm headphone connector. On the right, there is a microphone and the docking connector. 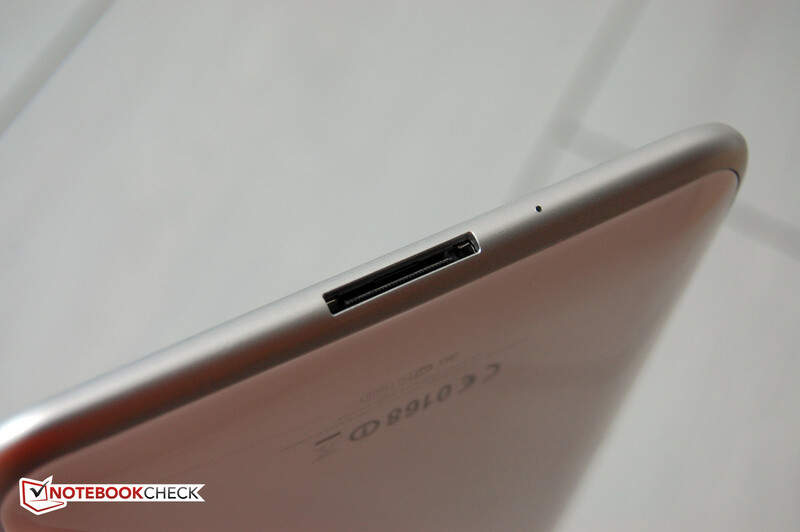 On the bottom edge toward the left corner, two covers conceal a microSD card slot and a standard size sim card slot. 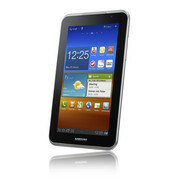 Aside from the tested model with WiFi and 3G, there's also a WiFi-only version named Samsung Galaxy Tab 7.0 Plus N WiFi. The MSRP is 499 Euro ($625 USD), 70 Euro ($88 USD) less than the model with 3G. 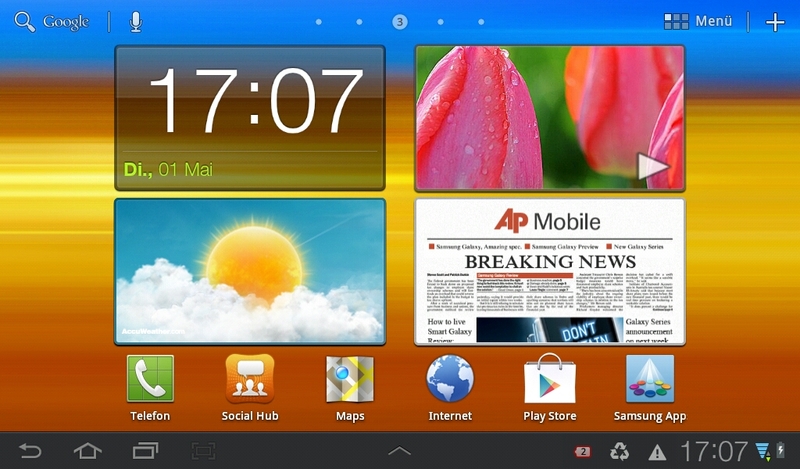 Despite being Samsung's newest tablet, the Galaxy Tab 7.0 Plus N Tablet does not use the latest Android OS, Android 4.0 (Ice Cream Sandwich). Instead, the tablet uses the older version 3.2 Gingerbread. This is a reliable, functional system, but is not up-to-date. While Samsung promises a "short term" update, often consumers cannot rely on such promises as recent experience has shown. This reservation is not limited strictly to Samsung. 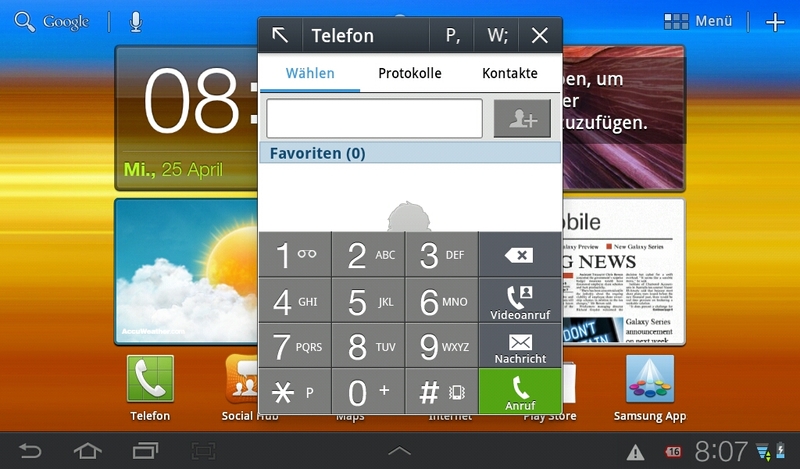 Samsung once again covers up Android's interface with its own TouchWiz user interface. TouchWiz provides a few small apps and functions, some of which are rather useful. More information about TouchWiz can be found in the chapter "Input devices and Operation". Because of its small size, the Samsung's 7" tablet is particularly suited to mobile use. As a result, we recommend the 3G version, especially considering that Samsung provides a late model chip supporting HSPA+ with up to 21MBit/s downstream speed. 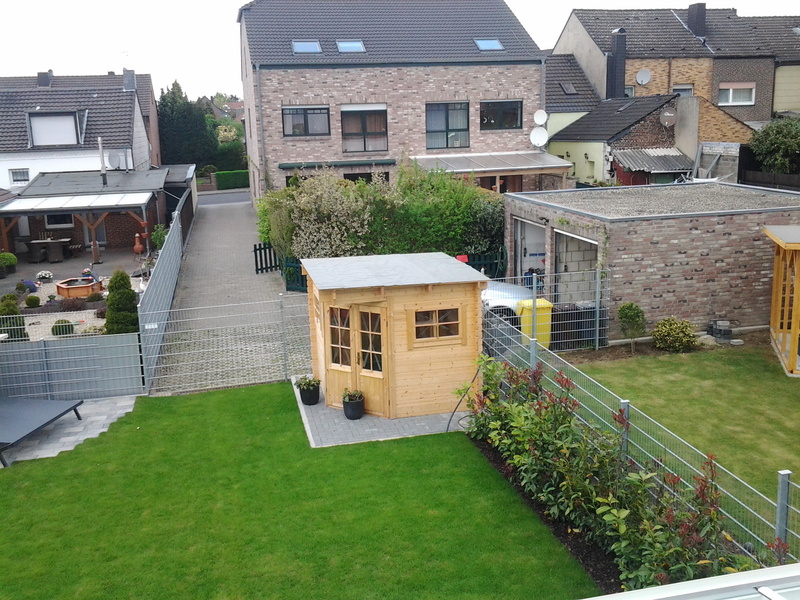 We could not test this due to a lack of connectivity in the residential area of our tester. But a HSPA connection with O2 was always stable and enabled decent downstream data rates of up to 7MBit/s.. The WiFi module was less convincing. 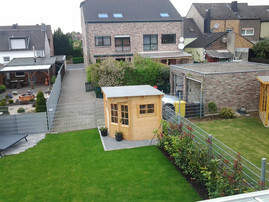 Even though it supports the current fastest standard with 802.11n, the Samsung Galaxy Tab 7.0 PLus N could only reach 8.45 MBit/s when hooked up to a Fritz!Box 7390 over a DSL16+ connection. By comparison, an iMac also hooked up through WiFi to the same setup, scored over 12MBit/s. Upload speed was evenly matched. One could say that 8.45 MBit/s is completely sufficient for a tablet but requirements are continually increasing, especially with respect to video. As is the case with cars and engine size, bandwidth can only be replaced by even more bandwidth. Samsung gave the Galaxy Tab 7.0 Plus N full Smartphone functionality which puts it ahead of many competing models. Interestingly enough, one can make phone calls without the included headset but doing so resembles something out of a comedy show (such as Comedy Street) where oversized phones often play a key role. There are high expectations for current tablets in the area of multimedia. They should be able to take quality pictures and video for the family or YouTube. It goes without saying that they must also be able to play back music and video. Last but not least, entertainment in the form of sophisticated games is expected. 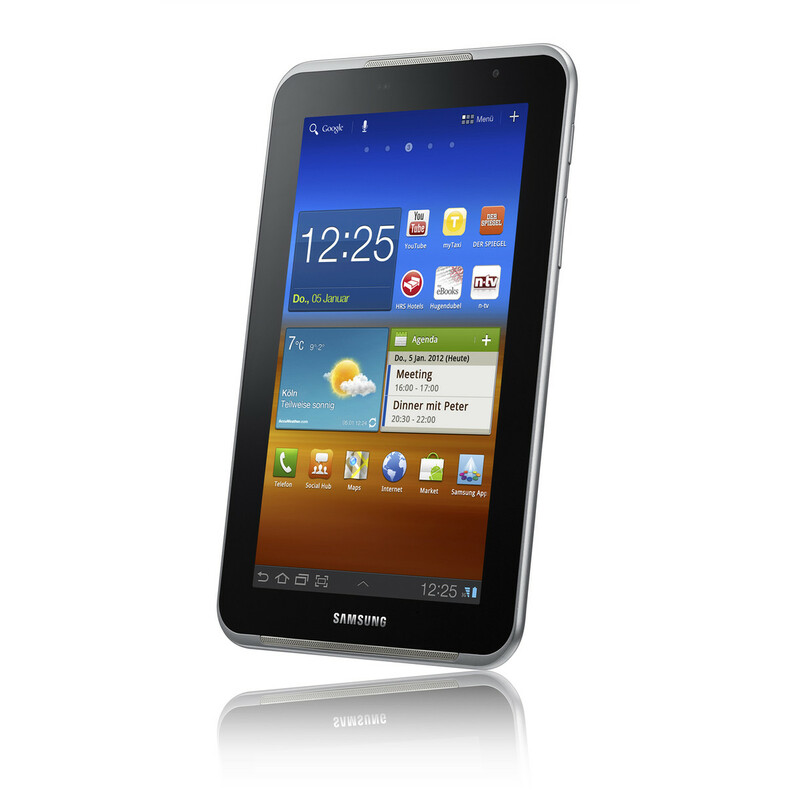 The Samsung Galaxy Tab 7.0 Plus N can more or less handle all of these function. Let’s start with the two cameras. The front camera sports a resolution of 2 megapixels, sufficient for little more than video chats and only works well with enough light. 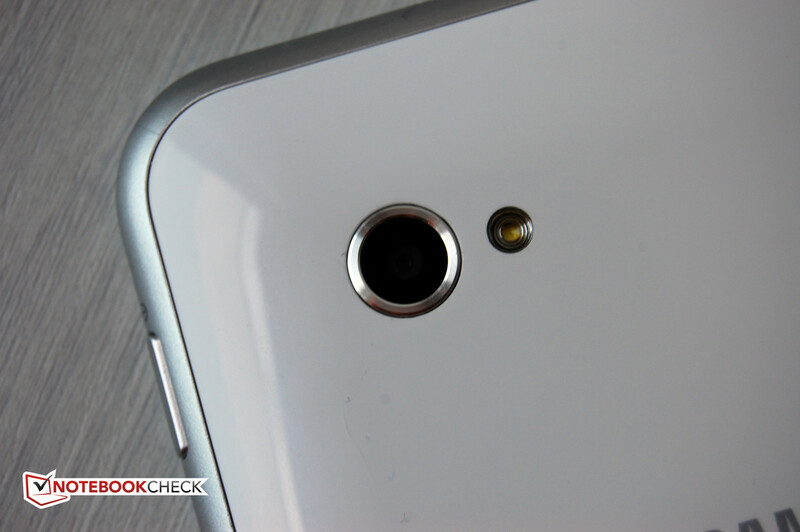 The rear camera has a slightly higher resolution of 3.2 megapixels. 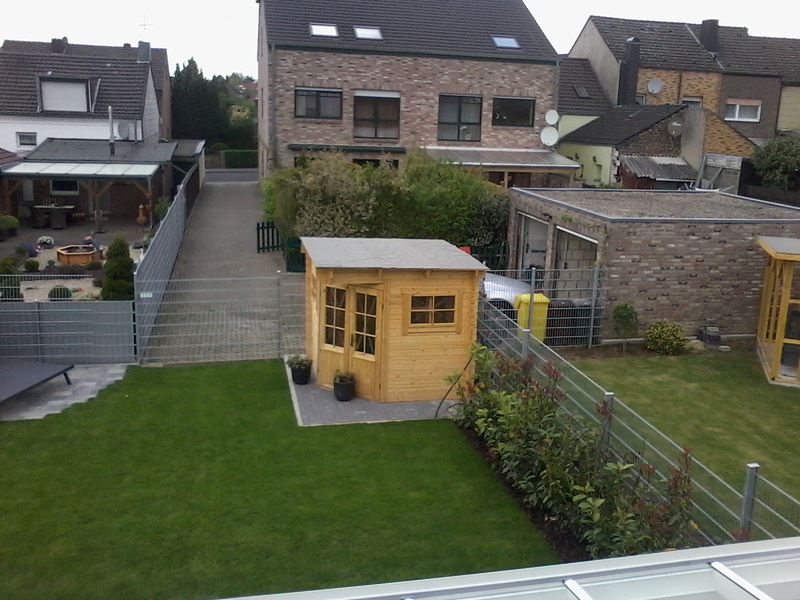 The latter is obviously better quality but is still considerably lacking where it comes to photographic resolution. Photographs are usable only in perfect conditions. In diffuse light, you quickly end up with strong chroma noise. Sharpness and brilliance are generally lacking. For snapshots, the tablet is adequate but not for decent pictures. The same is true for video. The resolution of 1280x720 pixels makes a bigger promise than the sensor can keep. ... and the front-facing camera. For video playback, the 7" tablet shines. Even demanding formats like full HD in an MKV container are played back without stutter and tracking within movies is almost instant. Lacking an adapter, we could not test if HDMI video output to an external screen works, but according to Samsung it does. On the tablet itself, watching movies is fun in spite of the small display. The front mounted speakers to the left and right of the screen did not impress us, but the sound is not bad either. For those looking for more brilliant sound, the included in-ear headphones perform well, also making listening to music enjoyable. The compact packaging offers no room for a lot of accessories and so it was no surprise that the package only included a USB power supply, an in-ear stereo headset with 3 different earplugs, and a few documents - a quick start guide, warranty information, and a warning that mobile internet use can get expensive. Commendable. Samsung's warranty is standard fare, offering a 24-month warranty on the tablet itself and a 6-month warranty on the battery, headset, and power supply. Looking at the offerings in Google's Play Store or Apple's App Store, one could think tablets are purely designed for games. The number of more or less pointless games is astounding. No platform offers more games than Apple’s iOS, a fact of which console manufactures should take note. The most sophisticated Play Store games will not prove much of a challenge to the Samsung Galaxy Tab 7.0 Plus N with regard to hardware requirements or performance. This conclusion is confirmed in our tests. 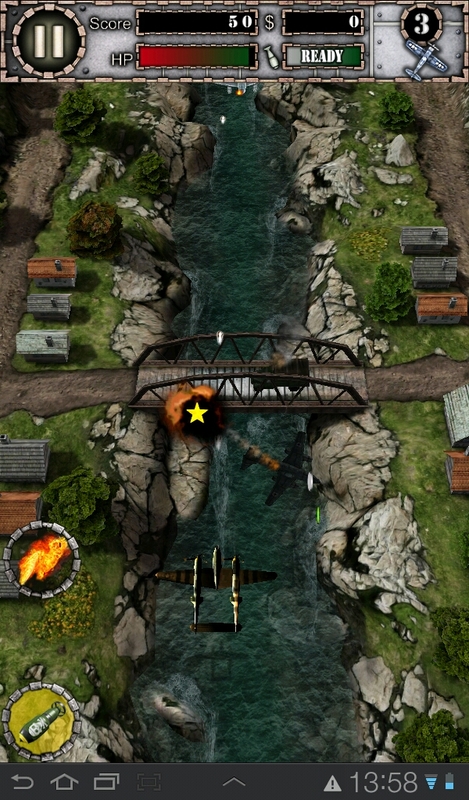 Graphics heavy games like Air Attack HD, Dead Space, and Shadow Gun run perfectly smoothly. The touchscreen permits fairly precise and reliable control. The sound from the speakers is no revelation but suffices as background. Against expectations, the small screen size does not hinder gameplay. On the contrary, the tablet can be held in both hands in a relaxed manner, and nearly anyone’s thumbs can reach every corner of the display. 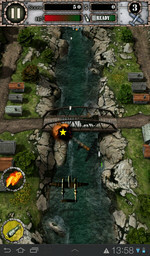 Some games do require more than thumbs, but here too the small size and low weight are advantageous. Since nearly all entries and controls are performed via the touchscreen on tablets, the display is of great importance. 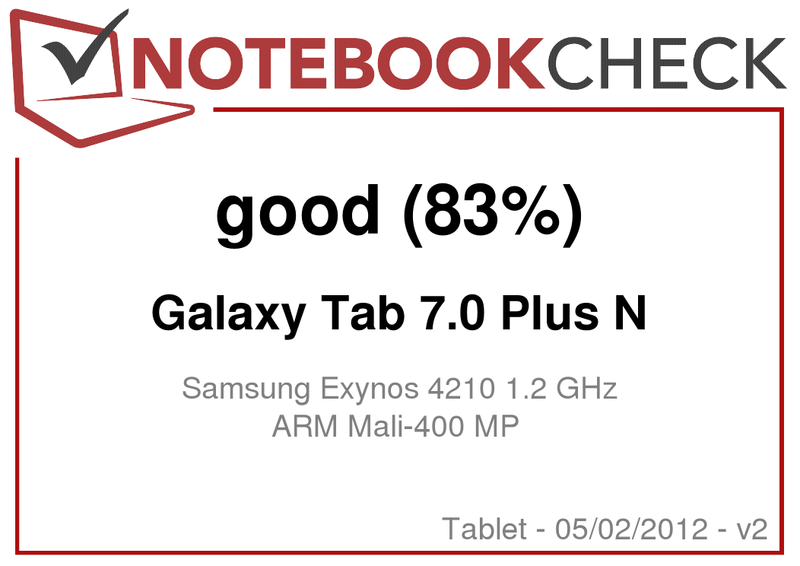 For the most part, the Samsung Galaxy Tab 7.0 Plus N's display performs convincingly. However, it doesn't like fast swipe and scroll gestures, sometimes resulting in a lack of response. Samsung covers parts of the Android UI with its own TouchWiz Surface. Noteworthy is the screenshot icon in the lower left area of the standard Android controls, permitting screen captures with options to save or send the image. Perhaps a quirk, the screenshot icon is visible in the screenshots but grayed out. Also interesting is the up-arrow in the center of the lower edge of the screen. Tapping it causes six application icons to slide upwards and upon selecting one, it opens in the foreground. These quick-applications consist of important telephone functions, a task manager, notes, a calendar, and the MP3 player. Further alterations of the Android UI are fairly unobtrusive and limited to Samsung images and apps you can also get for standard Android but are not bundled together like the "Social Hub" of the TouchWiz UI. Many tests have covered virtually every aspect of Android 3.2 Gingerbread already. We can add just this tidbit: everything can be operated smoothly and intuitively. The user interface offers no riddles. The only annoyance was the delayed-response rotation from landscape to portrait and vice versa. Up to two agonizingly long seconds can pass before the screen follows the rotation of the tablet. The virtual keyboard poses no problems in landscape mode, but in portrait mode the individual keys turned out to be a bit small. With such small virtual keys, typos are increasingly more common. 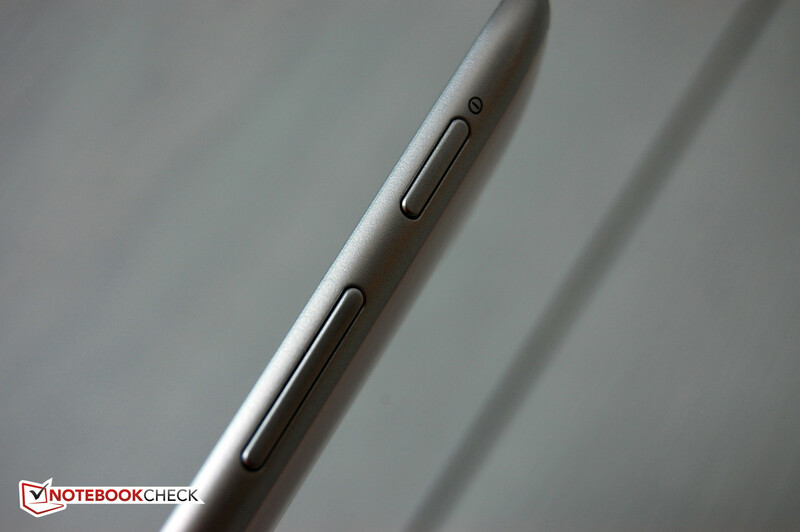 Haptic feedback, where a short vibration notifies the user that a touch entry was recognized, is very helpful here. For a tablet, the display and the user’s fingers engage in a close relationship and the haptic impressions can quickly result in fondness or dislike toward a tablet. The glass surface of the Samsung Galaxy Tab 7.0 Plus N feels good, but could still be more smooth. Fingers that are slightly moist tend to develop friction and stick occasionally. On the other hand, the multi-touch screen always reacts quickly and reliably. Important gestures like 'pinch to zoom' give no reason for complaint. Scrolling through long websites can occasionally stutter. As we already noted earlier, screen rotation should be a bit quicker. The seven-inch display offers a resolution typical for this type of device at 1024x600. Displayed content is sharp but cannot match a true high resolution display like Apple's 'Retina' displays. While surfing the web, we frequently had to use the column zoom with a double-tap for improved readability. Regrettably, outdoor usage suffers from weak display brightness at a maximum of 300 cd/m2. It becomes difficult to make out anything on the display in very high ambient light. The strongly reflective glass doesn't help with this shortcoming and on the contrary makes it worse. Subjectively, contrast is pleasantly high. For reasons we could not surmise, our screen tester could not measure the contrast values of the display. Evenness of the screens backlight still falls under 'good' at 88 percent with the upper right corner being a bit darker. We had high expectations for viewing angles of the provided PLS display. PLS is an improved successor to IPS technology, but Samsung did not elaborate on the actual improvements. Possibly, they worked on reducing the glow effect of dark areas typical of IPS screens. After all, we can attest to good viewing angles for the display, but they are not better than good IPS panels. In addition, colors seem a little bit faded. 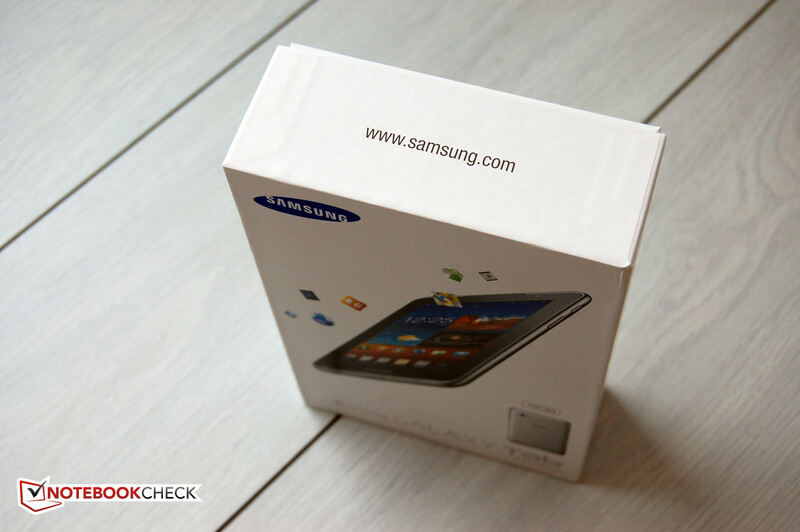 The Samsung Galaxy Tab 7.0 Plus N is well equipped for performance tests with its 1.2 GHz dual core processor. The 45nm SoC is named Exynos 4210 and manufactured by Samsung itself. Some of Samsung's devices use the same chip clocked at 1.4 GHz. It is based on the Cortex A9 reference design and supports the current ARMv7 instruction set. The integrated GPU is an ARM Mali-400 MP4. Numerous video formats are supported for hardware decoding - up to the full HD resolution of 1920x1080. So everything needed for high performance is there and the 7-inch tablet does not disappoint. In comparison to the Motorola Xoom 2, sporting similar specs, the Samsung is always a few percentage points better. In the quadrant test, the performance advantage is particularly large. For tests heavy on internet surfing, the Samsung also looks very good, even though it does not manage to secure first place in every test. Viewed on their own, the results are on a very high level. Samsung apparently knows how to squeeze every bit of performance out of the CPU and chipset architecture. The high performance is positively noticeable in everyday use as well. HD movies run fluidly thanks to hardware rendering and in overall use, stutters are extremely rare. Where there is no fan, there is no noise. This fully describes the Samsung Galaxy Tab 7.0 Plus N. Not only is there no fan, there are simply no moving parts that could produce any noise at all. There also was no high frequency beeping or any other audible electronic noise. The same goes for the power supply while charging. Even under full load, the 7" tablet never got unpleasantly warm. Nonetheless, there is a hot spot in the lower display area, starting from the middle and extending to the right edge. In this area, topside temperatures reach more than 35 degrees Celsius (95 degrees Fahrenheit). While still very tolerable, this is a noticeable difference to the other, cooler areas. Surprisingly, temperatures are barely any lower in idle mode. (+) The average temperature for the upper side under maximal load is 29.7 °C / 85 F, compared to the average of 30.7 °C / 87 F for the devices in the class Tablet. 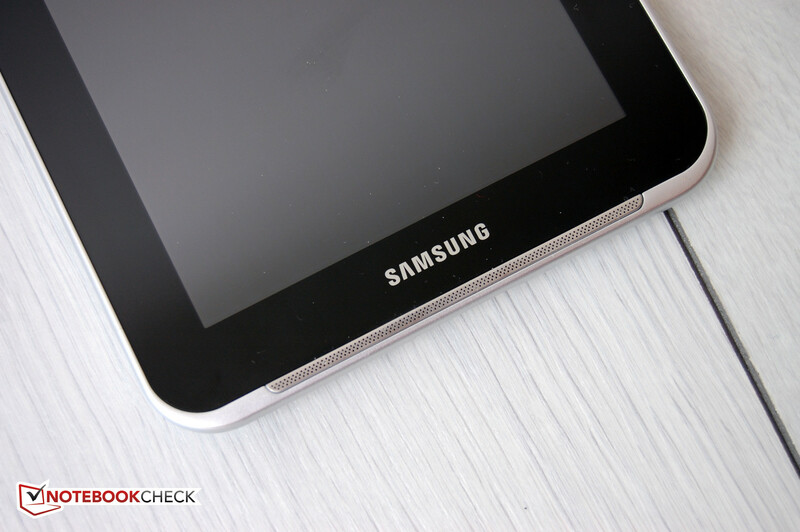 The battery provided with the Samsung Galaxy Tab 7.0 Plus N has a capacity of 15 Wh. Some of the runtimes the manufacturer claims seem a bit exaggerated. Stand-by time is supposedly 1,190 hours with the GSM radio active. With the 3G radio running, the stand-by time is said to be reduced to 1,080 hours. We did not have a month and a half to test this and we think these numbers are superfluous for a tablet, unless you're planning to use it exclusively as your phone. If the tablet gets used in any manner resembling typical tablet usage, you will have to find an electrical outlet for it after a week at most. For video playback, Samsung claims a battery life of six hours which we found to be a realistic value. In standby mode, the Samsung tablet is very frugal with the available energy and used a mere 0.2 Watt of power. In idle mode, the 7-inch unit still holds back, although its 4.4 Watt consumption is more than what some 10" tablets use. Under full load, the tablet’s 5.7 Watt power draw could not be considered a power-saver. This is reflected in the measured battery runtimes. With minimal brightness and deactivated radios, the battery manages over nine hours. But merely surfing over WiFi at roughly 150cd/m2 display brightness reduces its runtime considerably to just under 6 hours a result that is unspectacular. Under maximum load and full brightness, the battery dies after 3:09 hours. With a function called 'energy savings mode', the user can influence how the tablet operates once the battery charge falls below 50 percent. Using factory settings, the display is dimmed strongly and turns off completely after 15 seconds. For useful operation, the user certainly needs to adjust these settings. 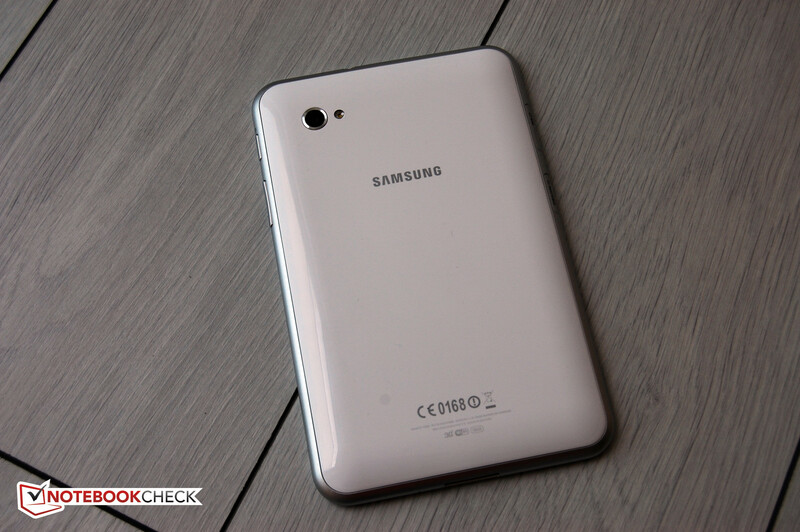 Overall, the stamina of the Samsung Galaxy Tab 7.0 Plus N is only average, which presumably is influenced by its compact size and hence compact battery compartment. The trade-off, a very nice one at that, is that the battery is fully charged after only a little over three and a half hours. We struggled with the final verdict for the Samsung Galaxy Tab 7.0 Plus N. We liked it very much in daily use, especially because of its compact size, the low weight, and the fast 3G radio. Operation was also easy and reliable as long as the touch screen was not burdened with fast finger gestures. Performance is sufficient in all situations. Samsung did a very good job here and this shows that their own SoC's are amongst the best in the market. We have both praise and complaints for the display. While the size is a matter of taste, the PLS display is unable to meet our high expectations completely. As an improvement upon IPS screens, it fails to offer any advantages in our opinion. It is neither particularly bright, nor brilliant and while viewing angles are very good, they are not better than comparable IPS screens, such as that of the recently tested Motorola Xoom 2. 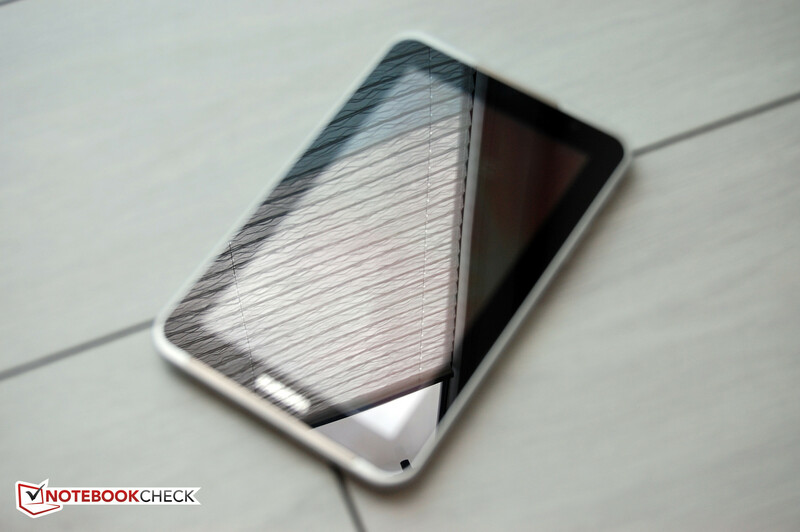 The Samsung's reflective surface is common to all current tablets. In regards to multimedia, there are also pros and cons. Both camera modules serve as cons. Only in optimal conditions is the main (rear) camera capable of shooting half-way usable pictures. Video recording is not much better. Playback of video on the other hand is a pro as the unit shows strength and handles all common formats - up to full HD - with ease. As an audio player it also receives a favorable score. Battery runtimes are average for a tablet this size. Those needing more endurance should pick a larger tablet. You can also make telephone calls with the Samsung Galaxy Tab 7.0 Plus N. Using the included headset, speech sounds clear and distinct, if a little synthetic. Anyone hoping to hold the tablet as a traditional phone must as a prerequisite not be self-conscious. 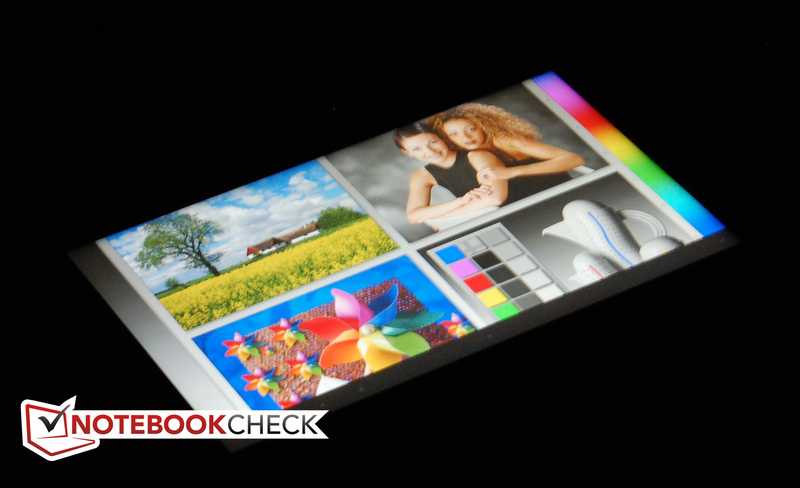 Overall, we feel justified in recommending the Samsung Galaxy Tab 7.0 Plus N, especially to buyers prioritizing mobility. The MSRP at 569 Euro ($713 USD) is fairly high. 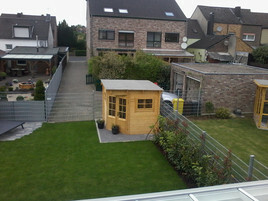 However, there are offers on the internet for occasionally less than 400 Euro ($500 USD). And that price seems very fair. The packaging is very compact. The speakers are a bit better. The cameras are of poor quality. The rear is pure white. The compact dimensions and the low weight. Being able to make telephone calls on it definitely increases its value. Why don't all tablet makers include this feature? Useful cameras, a brighter screen and a little more battery life. That there are rather few really good tablets in this size. Thanks, Samsung. In this size category, competition is lacking. Hence, the Samsung Galaxy Tab 7.0 Plus N mostly had to duel it out with larger tablets, like the Acer Iconia Tab A200, Motorola Xoom 2 MZ616, Medion Lifetab P9516 32GB+3G und Apple iPad 3rd Gen. 2012 4G.